At last, the little project is complete. After months (and years) of conceiving, studying, plotting, writing and then assembling my little endeavor into the Great Work has come into the world. 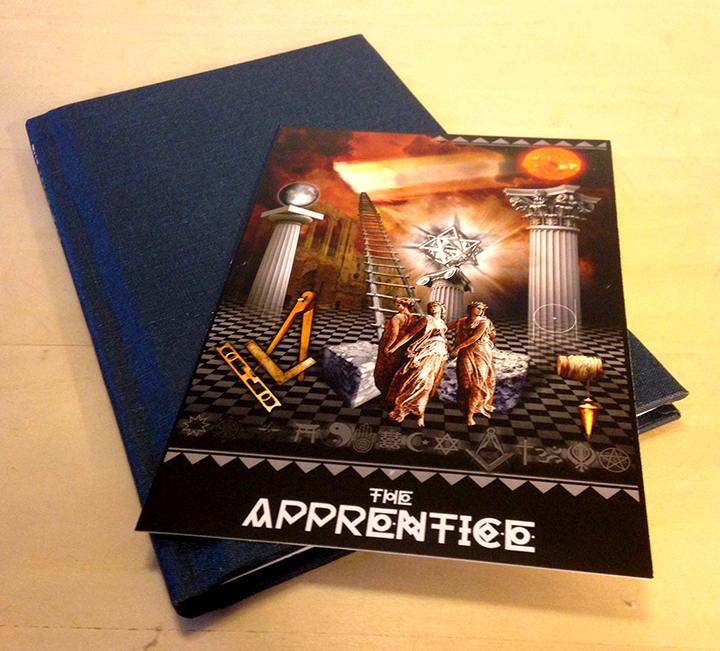 This follow up book to my 2010 project Masonic Traveler – Essays and Commentary is a different approach to understanding the importance and meaning behind the First Degree of Freemasonry. Taking the approach from the Scottish (French) Rite degrees, this work explores the nuance of symbolic initiation lost in the contemporary system at work in much of the main-stream practice. By using the Scottish Rite First Degree, the meaning and process of the masonic initiation takes on new dimensions why compared to Albert Pike’s First Degree treatise in Morals and Dogma. It is that dimension that this work seeks to explore celebrating the art and history behind the initiation process. The idea behind this work is that the degree, whether intentional or as a byproduct of revision and deconstruction, is a metaphorical entry point onto the Tree of Life from the mystical tradition of the Kabbalah. That, the first degree, when examined next to the works of other esoteric writers, becomes the foundation degree of initiation as it blossoms into a rich allegorical journey from chaos into order. While not a tell-all expose into Freemasonry, the work, at a deeper level, is an attempt to understand what it means to BECOME a Freemason. 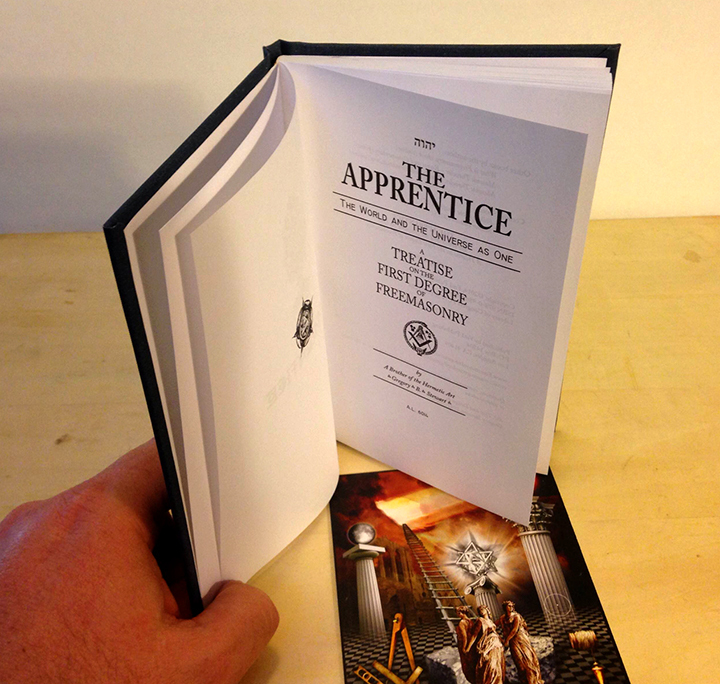 An interesting note, all aspects of the book from its creators hand. Not a pain stream or commercially published work, its creation is with an artisanal work as the product of a loving devotion to the medium and subject matter. 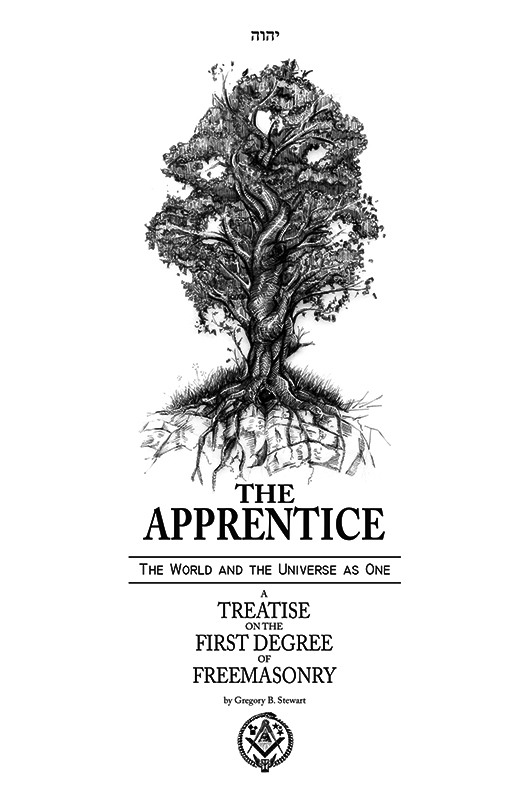 Also interesting about the book is that this work is the first of three to round out three ineffable degrees of the fraternity taking us ever higher into the allegorical tree of life. Gord Echlin, Davide Riboli, Joseph James, Jorge Dagang, Jeffrey S. Kupperman, Carlos A. Rodriguez, Saint Cloud Lodge #221; Ann Arbor-Fraternity Lodge No. 262, F. & A.M., Michigan; John R. Merrick, Daniel Barston, Kelly Feldcamp, Randy Reese, Seth Allen, Nicholas Vettese, Jeff Ewing, John D. Spreckels Lodge #657; June E. Lennon, Freemason; Bro. Alex Towey, Johnny Arias, Gar Pickering, Chris Cochrane, Melissa Howe-Pomeranz, Gary Iverson, Luis A. Feliciano, Stewart A. Anderson, Andrew Smith, Kirk Bielskis, mmg86, Prenna Sergent, Matt Frye, Corey Hilton, Jason Hawkinson-Prater, Thomas Butler, J. A. Foster, Christopher Davis, Dominic J. Tufo, F.&A.M., California; David W. Douglas, Ireland, Shanan Hough, Shawn Michael and Philip Michael Hugh Lawson. I couldn’t of made this happen without your support. and through a special offer here. Congratulations. We have this on our Phoenixmasonry Social Media for you!